If It's Hip, It's Here (Archives): Unique Storage. 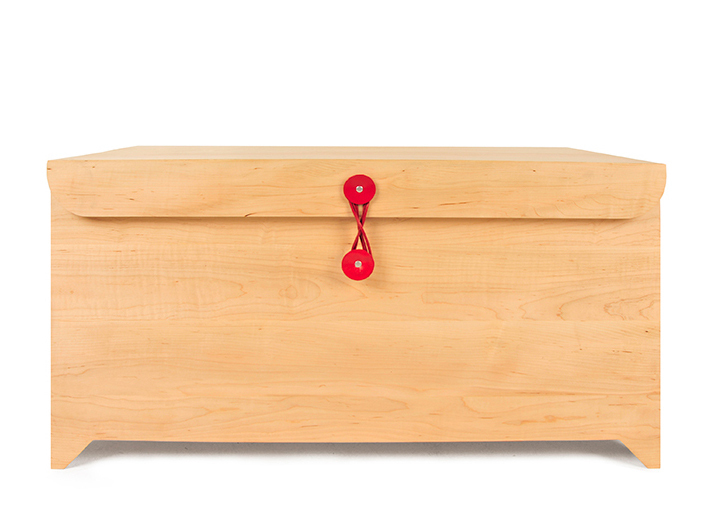 Maple Wood and Leather Chest Mimics Look of Interoffice Envelope. Unique Storage. Maple Wood and Leather Chest Mimics Look of Interoffice Envelope. The classic interoffice envelope inspired the look and function of the Envelope Chest by Field Day. 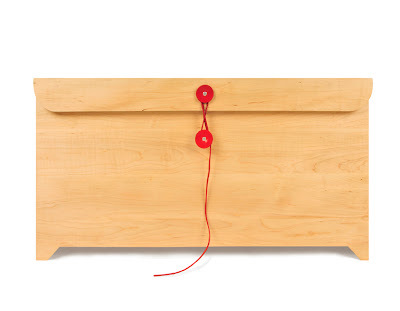 Perfect for storing your most important things, the sleek 40" wide and 20" tall chest fastens securely with custom red leather rounds and cord. 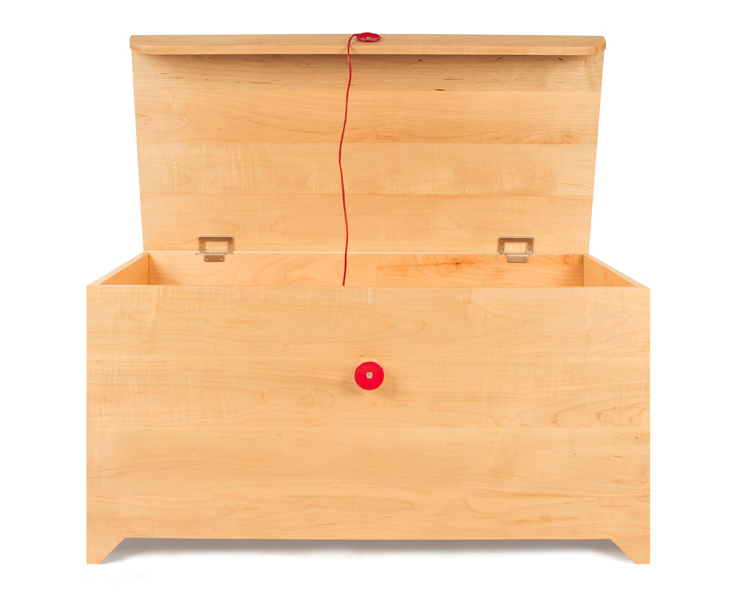 Its soft close hinges and solid maple bottom complete the sturdy piece.